Monthly Craft Question: How do you save money on craft supplies? The monthly craft question for July was, How do you save money on craft supplies? We asked some of our favorite craft bloggers to respond. Read all the great money-saving ideas below. You can also see reader answers on the FaveCrafts Facebook Fan Page. Buy in Bulk/Wholesale- 4 Votes- Sharon Staker says, “You can get better deals when you b uy more and store it away! Giveaways– 2 Votes- You can win craft products every week at FaveCrafts.com! To learn about current giveaways, subscribe to our free eNewsletter. I get a lot supplies from the thrift store or garage sales… I love to reuse and recycle! I will also look around my house to see if I can repurpose something. My friends and family know of my craft addiction and will often times ask me if I want some of their unused crafting items. If I do buy something I only buy crafting supplies when they are on sale or when I have a coupon! 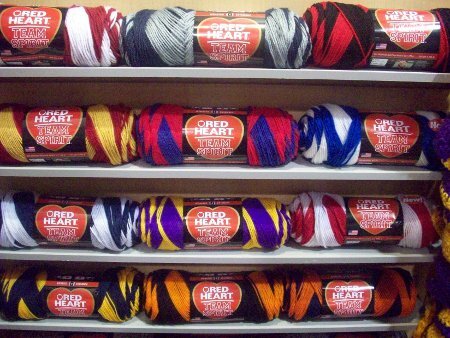 I buy in bulk (wholesale) when I can and I scour the pages of Ebay for yarn lots and odds and ends. Wow. I think I am a pro at saving money on craft supplies. My first response would be coupons…But besides coupons because I am not really a matress person is be inventive. The supplies I buy usually aren’t being used what they were intended for. I shop the clearance isles at Joanne’s and Walmart. You tend to see me in the back of the store. That is where the cheapest least deisred items are usually found. And I buy in bulk. You can get better deals when you b uy more and store it away! Great question Caley–for my general crafting (not the items I sell in my Etsy shop), I find lots of my supplies at yard/garage sales. You can find almost anything, sometimes still in their original packaging at these type sales and the prices are usually too good to pass up. Think outside the box when at a yard sale–even articles of clothing in fun prints can be cleaned, cut-up, and recycled to be incorporated into a craft project. I used to spend a ton on money on crafting supplies. I forced myself to cut back on spending, way back. Now I hardly spend anything and here’s how I do it. If I have a burning desire to shop, I go to yard sales and thrift stores. 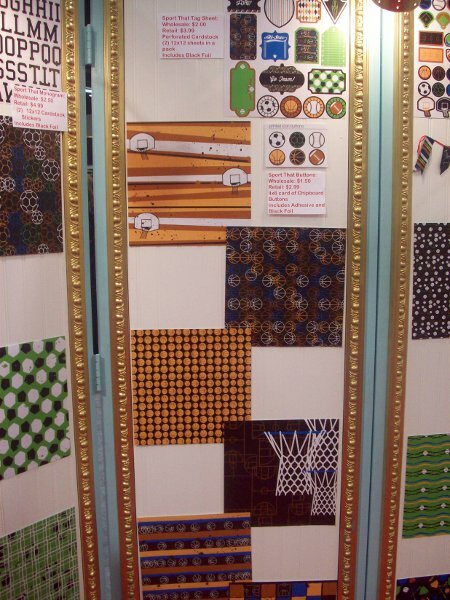 I can always find cool stuff like wallpaper, sewing notions, and fabric there. Everything is one of a kind, and I like the fact that I’m keeping stuff out of a landfill. I do have a rule that if I go to a thrift store, I have to take something to donate. That helps keep my stash down to a manageable size. I’ve found that if I stay organized then I don’t buy stuff that I don’t need. Knowing what I have helps me stay focused. I also tend to pick up stuff to buy and then mull it over before I pull out my wallet. I’ve learned that I can impulse buy paper, embellishments, and even expensive tools. I need to think it over and figure out if it’s the right fit for me. It all adds up over time. I have a budget I can spend per month and I really stick with that. If I want a large item then I simply save up. Even while I’m saving I can shop the yard sales and find unique items that inspire my creativity, and being inspired is what it’s all about. When ever I begin a project, I like to look around at what I already have and determine what can be adapted to work. 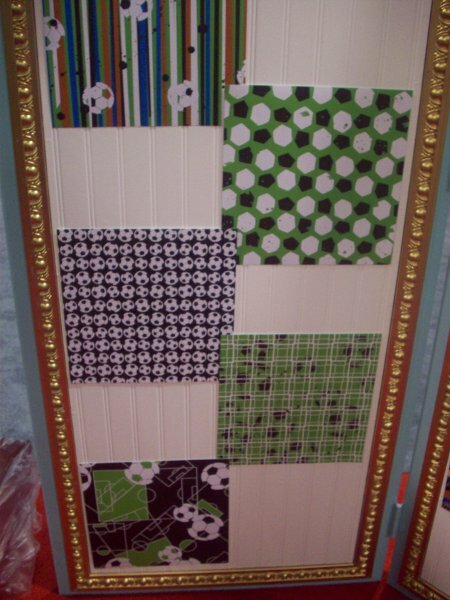 For instance, I had a vision to create a paper quilt, a mosaic using scrapbook paper. Buying all the different patterns of scrapbook paper would have been expensive, so I looked around an discovered many paint chips laying around from previous home improvement projects. I used them instead with a piece of scrap wood. Cost? Less than $10. I save money on craft supplies by shopping creatively at dollar stores, thrift stores, yard sales, and auctions. Dollar stores are good for discontinued supplies, like yarn, and frames. Thrift stores can yield clothing to re-fashion, fabric, patterns, furniture to refinish, sewing and knitting notions, it really depends on the store. One of my local thrift stores has baggies of game pieces (think scrabble tiles) . Yard sales have all sorts of things that are priced to sell, there is room to haggle and they is a huge variety of things all lumped together, I see a lot of boxes of acrylic yarn. Recently I have been VERY lucky at auctions. Here they often throw a lot of like objects in boxes and sell the whole box, sometimes you can get the box for a little as a dollar. Auctions can be a great source of vintage notions and patterns and digging through a box of vintage sewing supplies it like a treasure hunt. The only disadvantage I found shopping this way is making something fabulous and not being able to find the supplies again to make more. For supplies that I can’t find used I often will try to trade for them in the crafting community or I comparison shop online. Trading can be a lot of fun, making new friends and destashing a bit is always good. I have had a lot of success with trading, but a few times I never got anything for what I sent, so keep that in mind. Shopping online is a great convenience, I’m looking for a good price, bulk discounts, good customer service, and low or no shipping costs. I’m not really interested in sites with a lot of coupons all the time, that just tells me there is already a huge mark up on their items. I prefer to deal with stores located in the USA and I also always use paypal to pay for added credit card safety. This is a good one because craft supplies can quickly add up. Call me old fashioned but I use coupons and look for free shipping deals. If I’m ordering a good amount of fabric on etsy I will convo the seller to see if they’re willing to give me a deal. This saved me a bucket on my baby Elise’s curtains because I was buying 15 yards. I also try not to buy too many “I might use this” supplies, like “I might use this craft punch someday.” I allow myself a little of that but try not to buy too much without a decent purpose in mind. I save everything! Anything that looks like it could be used to make something else, I save. Ropes and ribbons from packaging, the front/tops of cute patterned cards, etc. Many things that are tossed into the trash are actually quite usable in projects …not to mention less waste from recycling materials. I just snipped shoulder pads out of a vintage blouse I found at a thrift shop and added them to my crafts closet because it’s possible I will need them for a future project. Not sure what it is yet, but it’s there. I save money by buying lots in bulk! I buy a whole fleece of wool, you get a better deal. Same thing with my dyes! Dharma Trading Co. gives a better price if you buy more. My spinning supply company gives free shipping to those that buy $100. and more. I also shop for supplies on Etsy using the word ‘destash’. Great savings! The most efficient as well as economical way to save money on craft supplies is through good old-fashioned planning. This year I implemented a system to manage those projects I want to accomplish. In a 3-ring binder I keep a printed spreadsheet of selected projects with a picture of the project, notations citing the source of the idea, supplies needed, copies of pertinent tutorials (if available), and available resources. By checking my stash supplies first, I am frequently surprised to discover I already have most everything needed to do a particular project. If an item is needed, I can take advantage of sales offers and coupons to supplement existing supplies by planning ahead. My project management system is proving to save me money because I’m not shopping for craft supplies without a plan or purpose. It’s also enabling me to be much more mindful of what I’m doing and how much I’m really spending. That is a great question! If you can’t cut costs on supplies, crafting can become very expensive, and usually one of the reasons I craft is to try and save money–so it can defeat the purpose. For a long time, I would frequent craft stores and stock up on good basics (like scrapbook paper) when they were on sale or clearance. I also have a lot of friends who know I have a hard time saying “no” to free stuff, so they would pass along their supplies to me, whenever they felt the need to purge and organize their craft rooms. At the moment, I am on a spending freeze for supplies, unless there is a particular project I need a particular item that I don’t already have on hand, until I can make better use of what I have and get it organized! It is nice to have things on hand to work with, instead of needing to buy everything for every project. Craft stores like JoAnn, Michaels, and Hobby Lobby, usually offer 40% or 50% off coupons. I won’t buy much from these stores unless it is on clearance, on sale, or I can use one of these coupons (they often take their competitors coupons, as well!). Sometimes, you can find better deals at on-line craft stores or through Etsy supply vendors. When we made our bandana tablecloths, my friend ordered enough bandanas for four of us to make tablecloths, so that she could buy them in bulk. We split the cost of the order between us. I made scrabble tile pendants with some friends for Christmas gifts a couple of years ago. We ordered most of the supplies from an Etsy vendor (again sharing the supplies and the cost), and found that by sharing some of the glue, etc. between us, we needed to buy fewer supplies and consequently saved money over crafting by ourselves. I’m a big fan of having a craft night, ordering in bulk, and sharing supplies. It’s a good excuse to hang out with the girls and have some fun, too! One other tip, is just to look around your home. Do you have fabric from an old skirt that could be repurposed as a new lampshade, instead of having to go out and buy brand-new fabric? Eco-Chic is hot right now! I just saw a really cool purse made out of candy wrappers! What do you have lying around that can be recycled as craft supplies? I am all about saving money on craft supplies! I always, always, always use coupons. I receive ones from JoAnn’s in the mail and by email and find ones to Hobby Lobby online as well. I like to wait for sales as well. I very rarely buy anything not on sale. I also keep an eye open at yard sales and thrift stores. You never know what you will find. Another fun thing is to do swaps with someone. That way you get new things to inspire you, but you aren’t really spending money either (just shipping if applicable). I try to enter crafty giveaways/competitions as well to win free craft stuff. I have won some great stuff that I use all the time! I get my printable coupons online before every visit to the craft store! You don’t even have to sign up for mailing lists – just go here to get coupons for all the major craft retailers: http://www.mycraftcoupons.com. I have saved hundreds of dollars over the years printing coupons. To save money, I stock up on things when they are on sale. With back to school sales right now, it is a good time to stock up on glue, markers and crayons. This is really bad but when I am about to throw away the crafts, I will take off things like wiggly eyes and reuse them. I do most of my shopping for craft supplies at Michaels and Joann’s and never shop without my 40% off coupon ! Often, you can print them online. Hmm, that’s a great question for a round up. Let’s see, besides shopping with coupons, I always try to only buy what I need for a specific project. If I’m not careful, I’ll go home from the craft/fabric store with way more than I went in for, and not only will I have spent too much, but I will have more projects than I can reasonably finish. My other good tip is to shop from your stash. Try to make something you already have work instead of buying something new. You might be surprised at the great results you get when you push yourself to be creative and use what you have! I recently went on a search to find yarn for a better price than what I pay at my local dept. 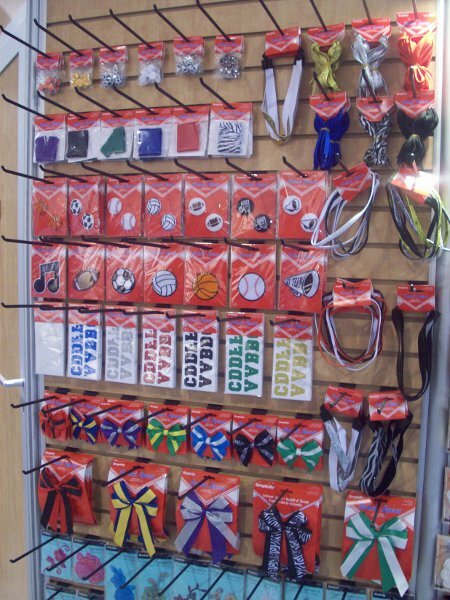 store. Almost five dollars a skein adds up quick when you need alot of yarn for projects. I have found two ways to save money and fill my yarn cabinet at the same time. First http://www.herrschners.com. They have great deals on yarn and I also purchased their Smart Savings Club (good for 1 yr) so I save even more. Second in the Summer one day out of my parent’s weekend is usually spent yard saleing. I requested they add yarn to their list of items to search for this Summer. The first basket my Dad found cost a dollar. It had a few skeins of yarn that cost at least ten dollars normally plus several other skeins. The next find was a box of yarn. I estimated the yarn in the box to be around ninety dollars at the dept. store the actually cost at the yard sale was ten dollars! When I checked my phone messages yesterday I couldn’t help but laugh. It was my Dad. The message simple said “We got yarn!”. Alot people try yarn crafts… crocheting, knitting, etc. but find it is not for them. A yard sale is a great place to get rid of the yarn they bought and don’t want. I now have quite the collection and I am sure Mom and Dad will add some more to it before the Summer ends. I love my Mom and Dad! and I just love a bargain! I save on fabric by purchasing when prints I like are on sale, especially when I can get an additional coupon. I try to purchase tools I need when I have a 40% coupon to a retailer as well. I find picture frames for under $2 at our local thrift store, and sometimes find old sheets or clothing that can be re-purposed there too. I save money by stocking up on my favorite craft items (fabric, lace, doilies, buttons) at thrift stores and yard sales. I love the vintage feel plus it is so much cheaper! I also shop for premade items–like pillow cases and curtains–and use the fabric to make new items like aprons. Half the sewing is already done for you which makes the project even faster! Plus reusing is very green and it feels good to be able to reuse instead of buy new. I generally try to use up, or make do with, what I already have before I acquire anything new, but my favorite craft suppliers would have to be the local thrift stores–I love to sift through the linens for gently-used vintage sheets, tablecloths, and fabric remnants, not to mention yarn and knitting needles. I save money on craft supplies by trying to recycle as much as I can (use giftwrap in scrapbooking type applications and so on). I never even walk past a lost button on the ground. When I lived near my sister, we also shared our equipment so we didn’t both have to buy the same stuff and we could use our money for fabrics etc. Now that I live in the US, I make sure to save vouchers for Michael’s too! I save money on supplies by looking for yard sales and website contests to enter. A lot have free yarn or knitting supplies if you win. I’m frugal on how I use the supplies I have! For smaller scraps of fabric and paper, I save them and give them to a friend that does use them! I enjoy buttons on projects, ask your friends to give you buttons they won’t use, some clothing has great buttons! And of course thrift stores are fabulous places to find fabric, wool, books and even supplies! Monthly Craft Question: Are You a Self-Taught Crafter? The monthly craft question for May was “Are you a self-taught crafter or did you learn from someone?” We asked some of our favorite crafters to respond. You can also see reader answers on the AllFreeCrochet facebook fan page. I am a self-taught crafter. My mother is a fine artist and she always encouraged us to be creative. There were lots of art supplies around for us to explore while we were growing up. My grandmother was a master seamstress and I spent hours digging through her sewing supplies as a young child, but alas I never asked her to teach me how to sew, it was her alone time. I felt it was important to respect that. I studied theatre in college and learned how to build and design sets and worked in the costume shop. Mostly though, I make it up as I go along! If I want to learn something new I just dive in and see what happens. Except for sewing (which I learned from my mother), I’m self taught in everything crafty! That’s part of the fun of learning something new! My mom taught me “the crafty lifestyle”. Keeping the handmade front and center.Growing up handmade was part of her living lightly on the Earth, and developing your own growth. Part of the crafty life style is teaching yourself (my mom showed me how to embroider, encaustic painting I learned on my own using books and the internet), but another part is taking classes (that is how I learned to solder) which is also a great way to connect with other crafty individuals. 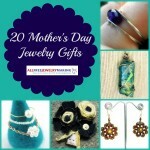 I am a self taught crafter, although I do have a few creative geniuses in my family. It was inspiring growing up surrounded by crafty people always excited to encourage new creations. I experiment with supplies more than I read or watch videos to learn. I like to see what kinds of results I can come up with using various supplies and techniques. Absolutely I am a self-taught crafter! Everything I see inspires me to try something else. Of course I enjoy some things more than other, but I’m willing to try anything! My mother taught me how to crochet and knit, she got it from her mother. When i think about my grandmother I always remember the sound the knitting pens make! She was knitting all day! My mother only taught me the basics of crocheting, so when I wanted to make my own amigurumi I had to learn this by searching the internet and reading books. So I guess you could say I am a mix of self-taught and learning from my mom! The simple answer to this is yes and no. My mom is an artist and my grandmother was a phenominal sewer, knitter & crocheter. Between the two of them, there wasn’t much they hadn’t tried. And they shared this knowledge with me. My preferred craft is needlepoint and while my grandmother had tried this once, all she knew was a basic needlepoint stitch and that not well. When I got my first needlepoint kit (at 14), she could show me how to do that, but that’s all. I took to it like a house on fire, but after that initial lesson, I was almost completely self-taught, learning from books, my own curiosity, and, occasionally from a helpful shop owner. I didn’t take a formal needlepoint class until I had been stitching over a decade and still prefer to puzzle things out on my own. I grew up with a mother who is an amazing seamstress. I always wanted to sew. 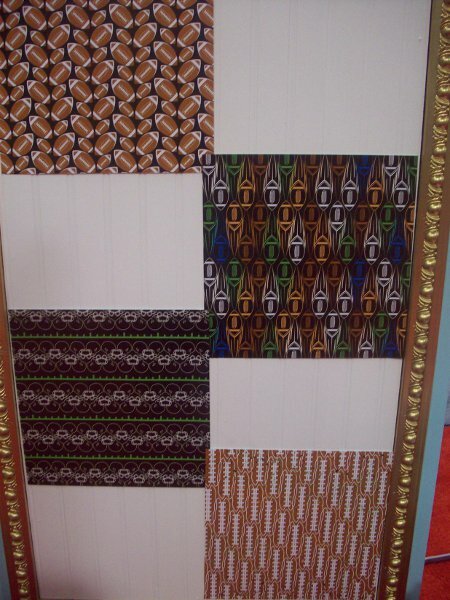 But she is blessed with attention to detail and a love for traditional patterns. I love randomness and struggled with patterns. She tried to teach me, but my learning style clashed with her teaching style. So I sat down with her old sewing machine and started sewing. Not in a traditional way, but in a way that made me happy. That was me. I still go to her when I need something made that is precise. I am so thankful for that. Yes! I am HUGE into Learn-It-Yourself. Handy tutorials posted on various craft blogs make it easy for me to pick up new skills all the time, but I also rely heavily on books borrowed from the library. At a friend’s request, I once taught myself to knit from books, and then I taught her how to knit. I think she has kept up with it better than I have, though, as I have too many other crafts distracting me from my knitting all the time. I taught myself how to sew out of necessity. I was rehearsing to perform in a low-budget community theater production and couldn’t stand the thought of having to wear the costume they had for me so I made my own. It was primitive, for sure, but still better than the alternative. I worked on my skills in college costume design classes and worked as a costume designer for theater and movies for a lot of years. I never thought I’d be using those skills as a quilter but I’m definitely glad I became a part of this industry! I am both. I learned to sew from my Gramms, as well and knit and crochet a little. The rest? I am pretty much self taught, including drawing and designing appliques, patterns and the like. It can be a challenge at times, but well worth the effort when you get the idea out of your head and created and an actual product from it! I am indeed a self-taught crafter. While I do take an occasional class (mostly ‘cause a friend begged me to accompany her), I’m pretty much self-actualized (stubborn) in wanting to zoom on and get things done so my patience factor is at a minimum in following tedious craft classes for long. It’s probably not one of my more attractive features, but there you are. If I want to learn a new craft, I read everything I can about it (books, library, online) and figure out how to do what I want. Then I just dive in and give it a try—9 times out of 10, all goes well. The mistakes I look at as learning opportunities. I am a self taught crafter. My mother was a wonderful mother who had three hot meals on the table and homemade cookies after school, but she was not crafty. I think the number one reason was because she was scared to try. I remember making huge messes with scissors and paper and tape. For Christmas I would get a box of crafty stuff like a whole ream of paper, markers, crayons, construction paper, stamps, tape, stapler with staples and the like. My mom is my biggest fan and thinks it’s amazing that I’m so creative. I tell her that while I’m not the best, I do ENJOY what I do and THAT is reason enough to TRY! Yes I am. As a FiberARTist, Upcycler & Photographer. I guess I can say both. I’ve always loved to craft and started crafting many years ago. My aunt and mother taught me sewing and needlework at a very young age. After that, I would get a good book and delve right in to the craft techniques that caught my attention. I love books so I have books on just about every technique available. But I’ve also taken classes that looked like fun and offered interesting techniques. I’ve taken classes on ceramics, batiking, and stained glass cutting (ouch), along with numerous specialized needlework technique/project classes. I think I followed my mom’s lead. She never had a class but was always trying to figure out how to do things. Once we bought a house at auction and found a box of fabric strips in the attic that were cut into shapes for quilt blocks. She decided to make a quilt without anything beyond basic sewing skills and it came out great. I think a lot of the crafting we do is trial and error anyway. I always learn more from the mistakes I make than the projects that seem to go smoothly! So I guess I would say I am self-taught, having made a LOT of mistakes! My mom is awesome – she gave me the crafting genes! Mod Podge Mom always taught me the beginning of crafts (sewing, knitting, painting) and then I would take it from there. She was always available for questions. I have her to thank! While I’ve taught myself some crafts along the way, I grew up crafting with my mom. She taught me to sew when I was a very little girl, and i’d say I’ve been sewing for around 20 or so years now. My aunt sparked my interest in quilting. I would do painting, wood crafts and needle work when I was young, having seen my mom do it and asking her to teach me. 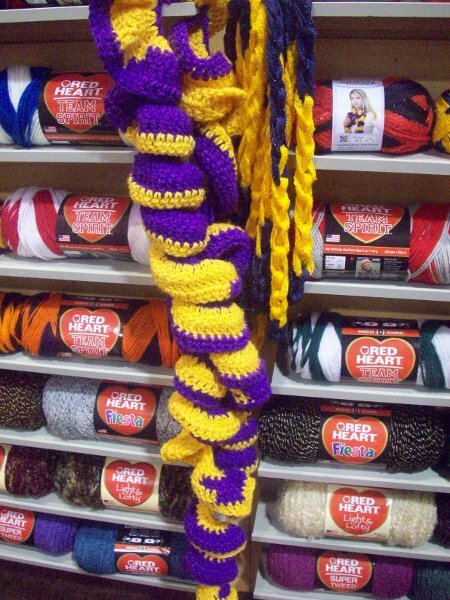 My grandmother showed me how to crochet around 10 years old, though I really only picked up chaining and moved on to crocheting actual blankets when I was 19 and a friend taught me. I taught myself how to knit a few years ago. I feel very fortunate to have had those opportunities to learn from others and teach myself over the years. My Mum used to craft when I was a little girl but I didn’t pay much attention – I was far too busy off riding my horse. It was when I was a starving uni student that I really turned to “making”. I used to buy clothes from the op-shop and chop them up and turn them into new clothes. I am self-taught , and any photos of the way I dressed at that time would be sure to prove it ! I cannot take all the credit (I grew up with a very creative mom), but I do believe I am a self taught crafter. I often do not have the patience to learn how to do something the right way so I tinker with it to try to figure it out on my own. Sometimes this ends up in a big mess but most of the time I end up figuring out a new craft with lots of short cuts and creative elements I can bring in with my own ideas. I like to think I am an impatient and free spirited crafter. It works for me and keeps me from being bound to the stress of getting it done the “right” way. It keeps things fun and creative! I’m primarily self-taught, relying on all the wonderful books out there to help me as I want to advance my skill set. My introduction to crafting came from my grandmother. She had a sunroom attached to the back of her house which was crafting central! During school holidays my sisters and I would come to stay with her and we would join her in her craft room and help her cut beads from plastic tubing using a specially adapted miniature guillotine. She would weave those tube beads into the prettiest mosaic patterns and then turn her designs into handbags. She used to take us into the city department store to buy craft materials and she loved to give us little kits to work on. She instilled her great love of crafts in me and offered me words of encouragement whenever I presented her with a small handmade article. My mum taught me the basics of sewing when I was about 10. She made all the family’s clothes and she started me off stitching straight seams in flanelette PJs. I clearly remember her showing me how to sew a flat seam so that the seam would lie comfortably against your skin, enclosing the edges so that there would be no fraying. After that she was happy to let me experiment on my own which was one of the best lessons she gave me. It wasn’t long before I was sewing all my own clothes. Along my craft journey I have cake decorated, cross stitched, paper crafted, knitted, sewed, learned some basic macramé and done lots of general crafting. I think I would say that I have been exposed to craft rather than really been taught to craft. It’s only recently that I’ve had the opportunity to take an occasional class so I’d classify myself as self-taught. A little bit of both. My mom through my growing up years introduced me to sewing, drawing, and quilting. After becoming a mom, I had new reasons to try my hand at things, and have learned a lot just by trying something new. My Mum taught me the basics of sewing and embroidery when I was a child, and my Nan taught me how to knit and crochet. They always encouraged me to engage in craft activities and have a go. As an adult I have taught myself how to quilt, applique, bead, cross stitch, and papercraft by using books that I have checked out from the library. When my children were young it was difficult to get out to classes so I simply taught myself. More recently I have been inspired and learnt a few new techniques from reading blogs, especially some of the great tutorials that are available. I taught myself various crafts, including knitting and crocheting, mostly through books, tutorials on the net and YouTube videos. I find it’s a lot more convenient to get information that way. But I would love to attend crafting classes and learn things from an expert. I think it would be nice to have an experienced crafter around to ask questions face-to-face. It would be a lot easier than Googling. How fun. I am a self-taught crafter. I discovered my true love for scissors, paper, glue and glitter in the 1st grade while creating a Christmas ornament (which I still have by the way) and have never looked back. I have always lived a creative life. Most of what I learned about crafting I learned from experimenting on my own. However, as a young child I had a lot of crafting influence from my mother, grandmother and teachers at school. I am very grateful that they put me on the path to crafting as it has been a wonderful asset in everything creative that I accomplish in life. I am pretty much a self taught crafter. When I was little my grandmother and mom showed me a few things, but by the time I was older and really wanted to do things like sew or crochet I had forgotten everything that I had ever learned (which really wasn’t that much anyways). So, I found books, scoured the internet, and went through many a project to get my skills to where they are today. It was a bit frustrating at first, but I’m so glad I persevered! I can still remember the look of sheer horror on my mother’s face, when at fifteen I attempted my first piece of garment sewing. How hard could a skirt be? Spreading the fabric on the floor, I lay myself down at one end, then rolled 360 degrees to determine the required width. The length was an unmeasured, inaccurate, stab in the dark, so an additional strip of fabric was sewn on to the bottom in the interests of decency. I loved that skirt. I wore it for years. The approach to crafting hasn’t changed a heck of a lot. How hard can it be?!? I am mostly a self-taught crafter but I did learn from many around me- my own mother and grandma were some of my first introductions to the crafting world. My mom was always sewing,and made many of my clothes growing up. I learned to sew from her, and in Junior High and High School classes. I stenciled my bedroom when I was in Jr. High and took a tole-painting class- that was big in the 80’s.That is when I started crafting- when I was very young. But for the most part, I ask questions from those who know how, take classes, read things, and teach myself. I think that is part of why I love it- always something to learn, always a way to stretch your mind and your creativity. I think the passing of crafts down generations is a lost art. My Grandma Campbell taught my Mom to sew. She in turned passed that down to me. I like sewing, but I dont love it. I do love to CRAFT. And I have dabbled in all sorts of crafts down thru the years. The thought of sewing takes me back to fond memories of the past. Crafting takes me to fond memories of Scrapbooking and spending time with MY kids. We are a crafty family. I am a “dive right in” and hands on learner. Sometimes I get a book, sometimes I look at a picture, unfortunately though I never took many classes. I am sad to say I wish I would have, I would have saved myself lots of dollars over the years when all I created was flops. So for anyone wanting to embark on a new craft – I HIGHLY recommend taking a class. If there are classes locally – great! If not, there are sites such as CrafTECH University popping up online that offer real time live video classes with expert teachers. I am proud to have been mentored by some of the industries best – such as Donna Kato. Im also proud that Im in a position that i can give back the same way it was given to me. Actually, I come from a parents who were tremendously artistic in on many levels. My Father could build and/or fix just about anything from one end of the house to the automobile the garage. He always told me that you could apply any technique to other projects. I took that to heart and it worked really well. My Mother taught me how to sew and to make patterns. She wanted to be a professional designer and lost the opportunity to help her family. She taught me how to make patterns out of newspaper. She showed me how to take any basic pattern and add or detract from it change size and/or style. She was an unbelievable seamstress who began sewing doll’s clothes at the tender age of 13. I learned so much from both of them it’s more than a blessing, it’s over blessing. I had an uncle who was an artist. He created one of the first billboards for orange juice in Florida. He gave me many of his sketch and draw books, paints and brushes. When most kids were playing outside, I was drawing and creating and making lots of things. Crafting came easy and it was second nature. Yes, I was taught but I was born with gifts. Later I studied fine art in Manhattan and eventually I took all of this education and crafted! I was scrapbooking before it was a trend. Many years before. Too many to want to admit to. Yes, I was taught, by life, by people, by family and teachers. My life is my craft. You probably wanted something very simple, but I am always true to myself. I learned the “Art of being Creative” from my Portuguese Grandma & Mom. Both of them were always crafting, sewing, knitting, gardening & cooking. In addition to my Mom and Grandma, I have been super blessed to be inspired by some amazing woman including Tiffany Windsor. She taught me how to bead on an Indian Bead Loom. I actually started my first business based on bead kits for my loom patterns. Without these creative woman in my life I am not sure what I would be doing! For the most part I am a self-taught crafter. I was inspired by my mother as a young child and began by learning embroidery, making plaster of paris pictures, and wheat weaving. Once I learn the basics in something then just run with it on my own and I’m inspired to create and grow as to where my imagination takes me. This is the way I was with basket weaving. I only had a small handfull of classes where I learned the basics. I wanted to do more with weaving so I read all I could on the subject and just played around with the materials to develop my own techniques and styles. I’m definitely self-taught. I grew up crafting in a family that bought everything. I loved making “cards” for my family out of card board boxes and other larger-than-your-average-card materials. I have a short attention span and enjoy flitting from one craft to another, incorporating unexpected elements from one in another. I did go to one week-long event, but once I was home, found I used very little of what I’d been taught. I enjoyed it, but for me, crafting is sort of a personal, individual experience. When I started crafting as a kid, I taught myself. After 17 years in the crafting industry, however, I find inspiration and new ideas almost everywhere I go. I discovered art in a late stage of my life. I’m only 38 years old, and most of life I didn’t do anything crafty. I was far away from it working as a public servant. All that changed when my first son was born. As a child I remember sitting on the carpet looking in my grandfather scrapbooks. He made them from scratch, the cover, the pages and all the wonderful design inside. When my son was born he said: “why don’t you make a scrapbook for your son?” that was the first thing I did. It was horrible, but it opened a new exciting world for me. I started surfing the net and saw amazing designs, I wanted to be like them so I started scraping and creating. In the beginning I used to scraplift designs from the internet, slowly I gained confidence and did my own designs. I got better and better, I sat for hours watching tutorials, online workshops and demonstrations. I tried new techniques, different materials and styles. There were no scrapbook materials in Israel at the time so I had to improvise, and that helped my skills, imagination and creativity. Later I bought materials on line. Eventually scrapbooking took over my life, the hobby became a profession, I quit my job and started a business. Today I’m a designer, teacher and demonstrator. My mother was creating double crochet scarves for the homeless when I was a child. When I was 14, I finally worked up enough nerve to ask her to show me the crochet concept and I created a Double Size Blanket as my first ambitious project. My mother didn’t know any other stitches but always changed colours to make her work look different. I became bored of the double crochet knowing there is much more such as granny squares. I purchased a pattern guide book with colour pictures, sketches and cartoon art to show me where to place my hook. I began doing samples of the stitching in the book and the book gave me keys on how to read basic patterns. Some stitches I loved and others I wouldn’t be successful not understanding some terms or concepts from the book. I get bored of crochet fast, so I continuously change colours to give my work an eye catching effect… just like Mom would do. To start with, my mother-in-law taught me the basics of stamping. I quickly realized that I loved paper crafting and started devouring any books or magazines that I could read about new techniques. Now, I enjoy experiementing with my own ideas. But I will always be grateful to my mother-in-law for all that she taught me!! I would have to say the I’m a combination of self taught and taught by someone else. I grew up in a crafty family (my Mother and my Aunts) and so I learned from them. We were always doing something crafty, they even have their own annual craft show. I have also taught myself a few crafts too. I taught myself to knit and when I discover a new craft of technique that I would like to try I do a little online research and give it a shot. This is how I’ve learned to use polymer clay and resin. I also do a lot of crafts with my kids, they think I can make anything. I am a self taught crafter-though my mom was very crafty when I was growing up. What I do now is stuff that comes from my head or is sparked by what I see someone else do. I am a mostly self-taught crafter. I have learned things here and there from others (and love to when I have the opportunity) and am always looking for inspiration, but mostly I make something that’s interesting to me, and part of the fun for me is figuring it out myself. A few of my family members are engineers and I’m mechanically inclined myself, so I guess I put that to good use too. I’ve never taken a jewelry making class – that was all completely self-taught as well. I am a self-taught crafter. However, I have learned little things here and there from other crafters and artists via blogs, books, and videos. It is amazing how many techniques transfer over from one genre to another. I believe in taking a new technique and seeing “what else” I can do with it. That’s an interesting question! I am primarily a self-taught crafter. I certainly did not learn from my mom. She rarely even sewed on a button when I was younger. However, she did foster my love of creating by purchasing various craft kits for me. I used to sew bears and doll clothes and make hook rugs. A lovely woman, my girlfriend’s grandma who lived behind my house, taught the neighborhood girls how to knit and crochet. We rarely finished a project, but I used to love sitting in her kitchen while she fixed our dropped stitches. I picked up knitting and crocheting after my son was born and taught myself using books. I did take a few classes to learn new techniques. Similarly, I learned how to sew by jumping into projects. Although I’d consider myself primarily self-taught, I have learned from the many wonderful crafters and bloggers that inspire me daily! Having grown up as the daughter of the original Tacky Lady herself, I think I first learned crafting by observing. My mother’s wholesale and retail businesses were in full-swing when I was a child so there were craft classing being taught every day at her store. I don’t remember actually sitting down to take classes but I do remember watching everyone else craft. Then when I was old enough, I was expected to start teaching classes myself. My first memories of teaching would have been around the age of 10. When I was the host of Aleene’s Creative Living TV show, I had the glorious opportunity to interview and host over 15,000 segments (yes that’s not a typo!) so I’ve had the ultimate experience of learning from others. Now as a professional designer, radio and craft tv host, there are many techniques I just jump in and try but I always love learning in a class environment. I have always been a person who is interested in creating things, even as young as 4, when my siblings and I made mud pies, I always liked to decorate mine with pebbles on top, or branches, or leaves, or fingerprints, even toe prints! I can see a cupcake and think of a hat! I think it’s a glitch in the thinking process… all I know is, I can’t seem to make it stop! scrutiny of it’s make-up! Who knows when the information I absorb will come in handy! I think that’s how things just suddenly fit into place, it’s not that I just suddenly understand something, it’s a combination of bits of information that all come together, and become something that just didn’t exist before! Sometimes I call it a curse… like in the middle of the night.. when I wake up with a totally new idea for a craft… and I just have to get up and do it. If not, by morning, I will remember that I had a brilliant idea… I just cannot remember what it was! So yes, I am self-taught…. but it comes from being ever vigilant of tidbits of seemingly unimportant trivia of information. The answer is YES. I am both. My mom did quite a bit of sewing when I was young and I watched and learned from her. She taught me some things by showing me but mostly I figured it out when she was at work. One of my grade school teachers taught me basic crochet and I’ve taken classes here and there for various things. I have a Floral Design Certification which, of course, I was taught. For the most part though I just DO IT. Even sometimes when I think something might not work I’ll do it anyway just on the off chance that it MIGHT. When I was in 6th grade, I was taught how to crochet by one of my favorite teachers. At my school, we had a 2-week period in the spring during which, in the mornings, we could take any type of “fun” class we wanted to (then back to real school in the afternoons). My friend Anne and I wanted to take crochet, partly because it looked like fun and partly because Mrs. Traver was teaching it. Turned out that we were the only two students who signed up, so we got her all to ourselves for 2 weeks. It was so much fun learning and spending the time together. I am ‘mostly’ a self taught crafter. My mom didn’t craft and none of my friends did. So as a kid I beaded, crocheted, made shoe box dioramas, did crewel work and gardened! All just from a basic direction or making it up as I went. I have also taken some workshops on stain glass, altered art and beading. I do feel I can learn most things by looking at the project and reading up on it. But I DO feel that classes are amazing experiences to bring you up to speed quickly on a craft and to also have fun with others, get tips.. they are great! Good Question! I’ve always been creative and I learned how to focus that creativity 4 ways. 1. Family: I had an Aunt that did the most beautiful crochet you ever saw. Her daughter wouldn’t pick it up, so when I was 5 she taught me to crochet, when I was 7 a friends Mother did the same with knitting. 2. Books: taught me weaving, macrame, sewing, needle work and colors. 3. Self: taught from about 3 years old I started drawing, coloring and anything I could use on paper including glitter and paint. 4. Teachers: I also had several teachers that took me under their wing in school and the recreation department. I never had any formal training when it comes to crafting, with the exception of framing as I worked in a frame shop during college. It’s usually I am intrigued by something I see then I try to do what I can to learn how to do it (internet, books, talking to people). Not to say my craftiness didn’t come from major influences. My mother, my grandmother and some of my friends are crafters. And they are my references and support when I need help. I am a hands-on and visual learner. So I do best watching someone make something. I also enjoy the challenge of trying to figure out how things are made and put together. I am both. My mom wasn’t a crafter, but she did make sure that I got sewing lessons as a child. Unfortunately, once I left home, I stopped all crafting and it wasn’t until years later when I invented the bowdabra and started working with creative people that I realized that I too could be creative and “craft.” A very cool revelation!! I come from a creative family, my dad was a brilliant ARTIST in his own right and ahead of his time…he did Mixed Media before there was a name for it…my mom taught me how to crochet at a very young age and taught me how to use the sewing machine before the age of 10 so while my parents gave me the appreciation for creating things I feel I am a self taught crafter as I was always so eager to create and learn new things… I made my own clothes without patterns before I was in junior high. I love to try anything and everything to do with crafting…which is why I LOVE Mixed Media; I can incorporate everything I learn into my ART, just like my dad! For the most part I am self-taught. I did have a few wonderful ladies show me how to hand-stitch doll clothing when I was quite young (I showed great interest and was thrilled with my first needle & spool of thread when I was 6). Though I have knitted, crocheted & played with other craft methods, when I made my first quilt (without any lessons or books) and I got to play with combining fabrics again, I was hooked! After finishing my first quilt, I did scour the library for every quilting book they had, and the biggest surprise for me was finding out that current day quilting now used tools like the rotary cutter, rulers & mats. If I had know that they would have saved me dozens & dozens of hours cutting the fabric. Because of this independent learning route, though, I was able to create a series of unique pictorial quilts, which then began the requests to teach workshops and that lead to designing quilt patterns….which is how I now make my living! I have self taught myself some crafts such as sewing and things. But other crafts like card making I have learned from other friends. It is a great mix because sometimes you want a friend to craft with anyway! I am self taught all the way! I began snipping paper to amuse my children when we were in a rowboat with my husband and his father, both die hard fishermen. And I have been scissor-happy ever since. I remember wishing fervently for someone to teach me the art of cut paper but what a blessing that I didn’t, because I turned out to find a style that was all my own since I had nobody to imitate. Now I treasure the “be yourself” attitude some crafters like me enjoy. I’ve been privileged to take calligraphy classes from some wonderful teachers, each of whom has been very tolerant of my need for experimentation and none has tried to force me to stick to the exemplar. The thing I love best about art and crafting is that there is no wrong way, no rules. That works for a color-outside-the-lines kind of woman like me! Yes, I am self-taught in knitting, crochet, needlepoint, drawing and sewing. I love to dive right into any craft! I’d be happy to. I have to say that my favorite is my rotary cutter, mat & ruler. i seem to use it for everything! My favorite craft tool is my rotary cutter and my rotary cutting mat. It makes cutting straight lines for quilting SO MUCH FASTER. It is a bit expensive but it’s by far the best crafty investment I ever made. 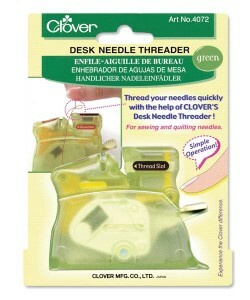 My favorite tool is this Clover Desk needle Threader in Lime green! I not only keep one in every project bag but I’ve given them as gifts to people who just hem and sew on buttons.. it’s a miracle threader! That is a hard one to answer when there are so many useful tools that I consider “favorites”. But I think the one tool I love the most, and could not live without, is my 28mm rotary cutter. I use this for every one of my cutting needs – cutting yardage, squaring up, using with my circle cutter ruler… I would be lost without it. I usually just use the basic scissors, measuring tape and thread ….so I’m going to say: my hands. My favorite craft tool is the paper piercer. It’s small, easy to carry and is constantly being used for all sorts of crafts. I remember reading once about how to measure the cost and value of scrapbooking or craft supplies. As a general rule it said that you should get one layout or project per dollar investment. With that in mind, my favorite crafts tool is definitely my Cricut Expression. It was an investment but well worth it because of all the things I can do with it. I use it along with a program called Sure Cuts a Lot (SCAL) which is my other favorite tool. SCAL allows me to cut files and fonts from my computer. I create a lot of my own files, which has saved me money in the long run. To top it off, I always get exactly what I want because I make it myself. Love the freedom! My favorite craft tool is a paint brush. I can do most anything with it from building a (faux) brick wall to writing a letter. I can brighten up a room, paint a best friend, make a window, or embellish a special find. It’s really the most versatile tool in my box of tricks! I would have to say my favorite craft tool is very simple and basic – scissors. Every single craft I do from sewing, quilting, needlepoint, paper crafting and just about everything else requires cutting with scissors. Scissors would go with me to the proverbial “deserted island” so I could craft with leaves and vines! Favorite craft tool? Just one? I would have to say it is my Sizzix Big Shot die cut machine. 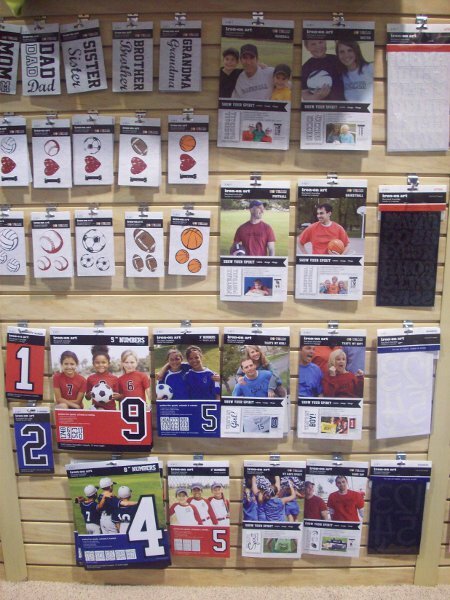 It is designed to work with not only the Sizzix dies and embossing folders, but the competitors’ as well. I especially like how it handles heavier materials; basically anything that may be cut with scissors. There are a great variety of dies to suit everyone’s design style and a new collection is introduced each month. My favorite craft tool is a H crochet hook! I have a lot of tools and most of them I would hesitate to part with. I love my Making Memories Slice – it’s smart and convenient and fun to use. I love my favorite old cutter that has a tendency to bend as it cuts but whose habits I’ve got used to adjusting for over the years and which I wouldn’t part with. I also love my Tim Holtz Tonic scissors – yep, it’s my second pair because even though I thought they were totally indestructible I’ve discovered that computer circuit boards are just a bit too tough for even these little beauties. But my favorite all time tool is Ranger’s non stick craft sheet. Like it says, it is non stick but that’s just the start. You can also heat it so it is great to use when embossing and when heat drying those wonderful Ranger paints that can be dried with a heat gun (which are fantastic for artists with type A personalities and who hate having to sit watching while paint dries). I use it as a work surface and pour gobs of paint on it as a palette – the dry paint just scrapes off when I’m done. The only thing that has so far managed to damage my Ranger craft sheet is an eXacto knife – ok so it’s no substitute for a cutting mat – but it’s great at everything else. Sure! My favorite craft tool is my vintage handmade drum carder. I use it to card my fiber batts destined to be yarn or for felting! I have a pair of crafting scissors that were passed down to me after she passed away, almost two years ago now. She wrote the words “therapy” on one side. She was an avid crafter and had a home based craft business much of my growing up years. Along with those wonderful scissors, she passed on to me a life long love of crafting and creativity. Now, every time I use those scissors, I think of her and remember all the special memories we shared. I love the Crop-a-dile. This tool is not your mama’s hole punch. It cuts through paper, chipboard, wood cutouts, and so much more. It also doubles as an eyelet/gromet setter. I have made so many crafts where people ask me “How did you do that?” I always say “I couldn’t have done it without the Crop-a-dile”. My absolute favorite would be my sewing machine. Does that count – it does to me and I really want it to promote it to everyone!!!!!!!! Hands down: The Fiskars rotary cutter, ruler and self healing mat. I would go absolutely crazy without them. Well, It is really hard to limit myself to simply one tool. I have a few basics that I cannot craft without. First being my Tonic Scissors. I have several varieties for all of my needs. My Tonic Paper Trimmer for straight edges. My bone folder for smoothing creases and spreading glue. My cutting mat allows me a washable work surface and it doubles as a ruler. ( I am always losing my clear ruler – It is clear after all.) The last few items are more materials than tools but I somehow manage to work Chestnut Roan or Coal Black Ancient Page by Clearsnap ink into almost all of my crafts. The very last thing is my set of colored pencils by Koh I Noor when combined with a Dove Blender Pen. So there you have it my not so “short” list of my must haves. My fave craft tool (right now anyway) is my wood burner! It costs about $15 and has a bunch of different inter changable stylus ends like flowers, circles, triangles etc. Currently, I’m using it to burn the edges of thrifted leather jackets that I’ve torn apart and cut into all different shapes. I can even monogram the leather with the wood burner! My favorite craft tool would have to be my trusty Dahle Cut Cat paper trimmer that i bought more than 20 years ago at an art/craft convention. It has remained faithful in all I work in, predominantly greeting and gift cards, tags and various paper crafts I create. One thing about having this tool long before children were born in our family, is that it makes me chuckle to realize I now sometimes have to hunt for it, and find it in one of my artistic daughter’s bedrooms – alongside her own creative workings and tools! It’s not pretty, but it’s definitely a cherished family heirloom. clothes pins w/the spring…they make excellent clamps and “3rd” hands for all kinds of arts and crafts. Besides the crochet hook… my favorite crafting tool is my digital camera! I use it to take photos of things that inspire me. I take photos of projects in-process to illustrate how to do it or to jog my memory of how I made it or put it together. I take photos of alternate ways of compiling elements to inspire future projects. Of course, I love looking at photos of my finished work. When I make afghans made of motifs, I often will photograph the various ways that the motifs can go together in different patterns or color schemes before I choose the configuration I like best. My favorite craft tool of the moment is the Scor Pal (www.scor-pal.com). Coming from the world of fabric, I had no idea that you could get a paper folder and what a difference it makes! And this one provides great guides so you really can’t screw it up. I’ve been folding paper like a mad woman since I got this tool in December. My favorite craft tool is definitely my sewing machine. I couldn’t live without it these days! A crochet hook, of course! Holy pajamas…just one? I can’t live without my air compressor and tools. I use a paint sprayer, air nailer and air stapler probably weekly to reupholstering, refabbing furniture and DIY projects. My must-have craft tool is my hot-glue gun. I use it for everything from embellishing curtains to making my own accessories to creating some homemade art. It’s the ultimate tool in my craft holster. wow it is kinda hard to say what my favorite tool is. I am gonna say right now it is my new to me Necchi 523(1985). I have always had brand new bottom of the line brothers. Those 2 brothers served me well but I put machines through a lot so correcting the tension was a constant struggle. I got the necchi in a trade and had it serviced, just to start off on the right foot with it. It is so smooth and really just hums beautifully; it just feels good to use it. I think buying a machine that is older then say 15/20 years is a great investment. You can find good machines on craigslist and if you need a manual ; most are available on-line. I am still learning to communicate with my sweet necchi but I predict a long and fruitful relationship. My favorite product right now is heat and bond lite. This is an easy one. My favorite craft tool is the rotary fabric cutter …and its faithful companions the self-healing mat and clear ruler. I remember the first time that I used the rotary fabric cutter years ago to make a fabric handbag. I just measured the width with the ruler and ran the rotary cutter down the side. What?? No paper pattern to make? No measuring and marking with a pen and cutting out — jaggedly, usually — with scissors? Are you telling me this piece of fabric is cut within a few easy minutes? Yes, why yes it is. And I have been using a rotary fabric cutter ever since. 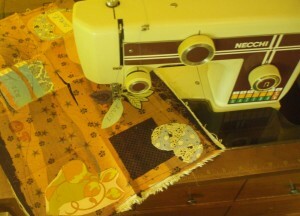 Most of my free projects at MerrimentDesign.com use a rotary fabric cutter. It’s particularly great when cutting out interfacing and fabric, or making multiple items like for gifts or for sale …just stack fabrics/interfacing and cut once. And I often use it on paper too even though I also own a “proper” paper cutter. My favorite craft tool is able to adapt to whatever craft I am working on at the time. It is portable and able to travel even onto an airplane without security problems. It is easy to clean and requires little maintenance. I never have to worry about it becoming obsolete relegated to a shelf or closet. My favorite craft tool has made me the crafter I am today and has helped me to enjoy a full and meaningful life. What could this tool be? My fingers. Whenever I need a quick or interesting background in a hurry I always reach for the Cuttlebug…. it is without a doubt my favourite tool. I love that you can use it on so many different 2D surfaces and apart from paper and cardstock I also use it to texture acetate, Fantasy Film, Friendly Plastic (yes, you read right – Friendly Plastic! 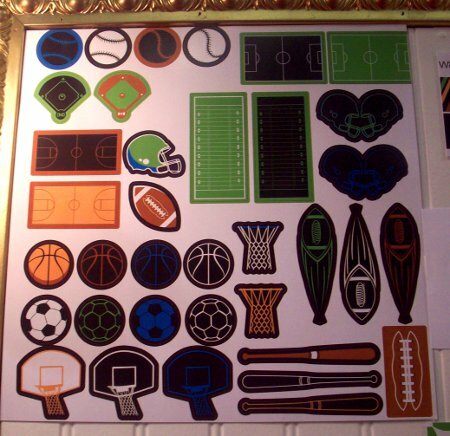 ), metal sheets, matting board…..I could go on but it’s a long list. It’s the best tool I’ve invested in. Thanks so much for writing. I would have to say one of my most recent favorite tools is my new set of bamboo knitting needles. I’ve don’t so much knitting with huge needles and bulky yarn that to use a fine wool yarn and thin needles is so refreshing. Bamboo is an excellent material for knitting needles because it’s light, smooth, and stays warm as you work with it. Love it! While at the 2010 Winter Craft and Hobby Trade Show, I was given Westcott’s® Titanium Bonded® non-stick scissors to take home with me. When working with paper, I tend to use double-stick tape a lot. If you have ever used scissors to cut tape, you know the scissors will become a sticky mess. These scissors promise to be non-sick scissors. So, I tried using Westcott’s® Titanium Bonded® non-stick scissors. They worked great. The scissors cut through the sticky adhesive and did not become sticky at all. I used the scissors when working on the artwork for my last three articles and never once had a problem with adhesive sticking to the blades. The blades are non stick and cut beautifully. They are on the top ten of my favorite craft tools. When asked what our favorite craft tool is, it took us about a millisecond to come up with an answer. Hands down, our favorite tool is our Cutter Bee scissors! There’s really hardly a project we ever do that doesn’t involve them. We absolutely love their super-sharp point, and they do an amazingly precise cutting job. Plus they’re really comfortable to hold, and small enough to take just about anywhere your crafting leads you. We couldn’t survive without these little yellow guys! My favorite craft tool is not my most used craft tool. My most used craft tools are obviously my hot glue gun and my staple gun. The one favorite tool I adore is my mallet. It’s the only tool that lets me pound wood dowels or nailhead trim with a rubber head and without damage. It’s essential to me ! Right now, my favorite craft tool is a chasing hammer and steel block. I guess that’s two, but they work together. I love to create texture on metals and wire and these tools are perfect for that. But, they not only create a hammered texture on metals, they also work to texture and distress paper, wood, clay and soft plastics. I would have to say my favorite craft tool right now is my sewing machine. Does that count? For the longest time I fought with it, but we are on pretty good terms right now that I actually know how to use it properly. Becky’s favorite tool is her computer. She sent over a blog post about this answer. The answer to this is kind of a quandry for me. You would think that the craft tool that I use the most, my glue gun, would be my all time favorite. Well, it wasn’t – now it is. Whenever I’m crafting it’s always in my right hand. In fact, sometimes I think it’s glued itself there! It is vitally important to just about everything I do – so much so that I have to admit I’ve burned a few of them out over the years. But, from time to time it’s also been my least favorite tool as it has caused me a great deal of pain. Getting scalding hot glue on ones hands and fingers from time to time was not a pleasant experience – especially when it was so hot your skin would blister and peel. However, over time they developed low temp glue guns – which no longer cause me pain. So, now my favorite tool would be my glue gun – but, it wasn’t always that way. My favorite craft tool, of many, are a pair of scalloped paper scissors. Scallops just make everything more sweet! I sew my creative ideas into aprons, napkins, towels and a number of items for the home but specifically the kitchen. You would naturally think my sewing machine was my favorite tool but instead it is my iron. No matter how beautiful the fabric, perfect a design, seamstress abilities, if you don’t have a good iron to press each seam along the way the end result will look cheap and fail to appeal to others. I also hold a lot of favor in my little 4 inch seam ripper, because I need it fairly frequently as I make my own patterns and that is almost always a trial and error process. However, number one is the iron it makes even your little mistakes invisible. My favourite crafting tool is definitely my hot glue gun! I actually just have a tiny dollar store one that I have been using for years and it does great. I use it for so many things like making hair clips and bows, making felt puppets, jazzing up shoes with jewels, and making fridge magnets. I especially love it because it is quick and easy to use. It dries super fast and is really secure once it is dry. I love my glue gun…even if it is from the dollar store! My favorite tool right now is my bias tape maker. I use bias tape for many of my projects. It is so nice to customize the tape and to be able to match things better by making my own bias tape…plus it is usually cheaper to do so! My favorite craft tool is a bone folder. Super useful for all sorts of projects. My favorite craft tool of the moment is my EK Success 1″ Scallop Circle Craft Punch! I know it seems very simple, but it’s amazing how much a little scalloped circle ads to a project. I’ve been doing a lot of cards and small frames lately, and the little craft punch comes in handy. My favorite craft tool is The AmericanTag eyelet setter (we call it the purple monster). Love it!!! There are always a few tools I always gravitate to when creating! I love Distressing ink! It’s a must when adding detail and depth to any paper craft. I also love beautiful fabric! It doesn’t take a lot either! I’ve created some amazing results with only scraps! And of course I always have my hot glue gun at hand! It’s the go to tool for quick and easy assembly! It’s hard to pick between my craft tools as I love knitting as much as crocheting. If I had to choose only one, my favourite craft tool is my complete set of Knit Pro Symfonie Interchangeable Needles. They are an absolute dream to knit with. Worth every cent! hmmm… i’d have to say my sharpie markers. i use those bad boys for everything. seriously. My favorite craft tool is my Cricut Expressions machine. Love that thing to bits and itty bitty pieces. Don’t forgot to tell us your favorite craft tool in the comments!